Yesterday, Electronic Arts have decided to make yet another Need For Speed game. The latest will be developed in British Columbia by EA Black Box and will "test the driving skill on treacherous canyon roads". "What starts in the city is settled in the canyons as Need for Speed Carbon immerses you into the world's most dangerous and adrenaline-filled form of street racing. You and your crew must race in an all-out war for the city, risking everything to take over your rivals' neighbourhoods one block at a time. As the police turn up the heat, the battle ultimately shifts to Carbon Canyon, where territories and reputations can be lost on every perilous curve. 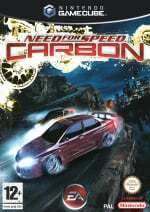 Need for Speed Carbon delivers the next generation of customization giving you the power to design and tweak your crew's cars in every way using the ground-breaking new Autosculpt technology. Represent your car class, your crew, and your turf in Need for Speed Carbon, the next revolution in racing games." Yes, 'Carbon will be on Wii. It'll also appear on Gamecube, DS, GBA, PS3, PS2, PSP, Xbox, Xbox 360, PC AND mobile. It was decided at the last minute not to include a Virtual Boy edition. Yeah sounds great..i hope EA start supporting the Nintendo Wifi connection soon.